Rome, Roma, the eternal city. Whatever you want to call it, we all know there is a lot to see in this tourist hotspot. With a blend of ancient ruins and modern shopping districts there really is something for every type of traveller. 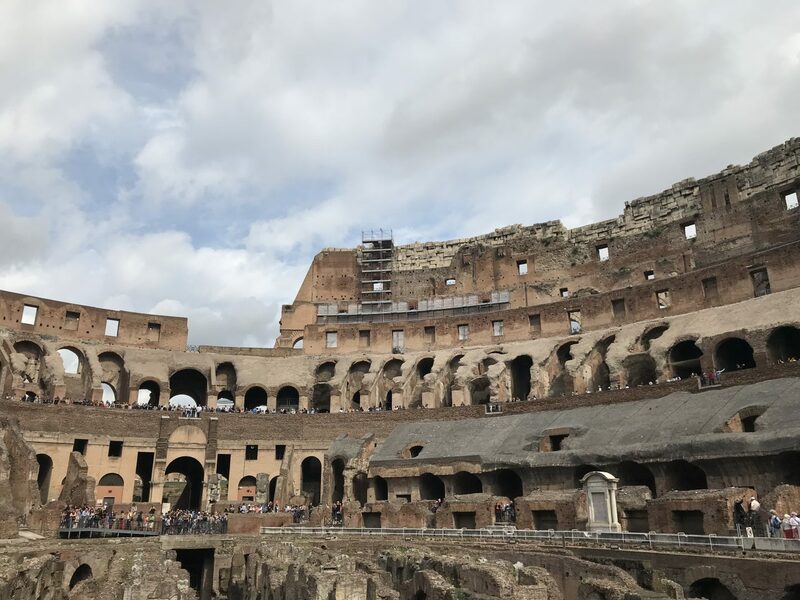 Whether you love to explore history and culture, or you prefer to dine and shop in style, Rome will cater to all your holiday needs. 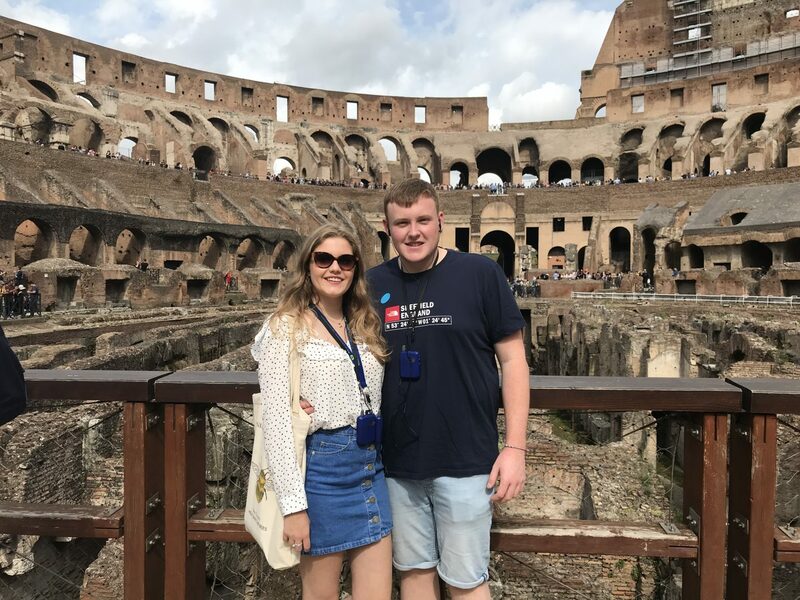 Myself and my boyfriend, Josh, recently took a trip to Rome for 4 nights, and we made sure to tick off all the must-see sights including the Colosseum and the Vatican. Not to mention stuffing our faces with pizza, pasta and ice cream, when in Rome it would be rude not to, right? Prefer to watch than read? Check out my vlog instead! So first up lets talk about tours. It might seem like a tourist stereotype to follow a guide holding a flag above their head, but let me tell you the tours we took were worth it and super informative. We chose to book with City Wonders through Trip Advisor, as they had the best reviews. 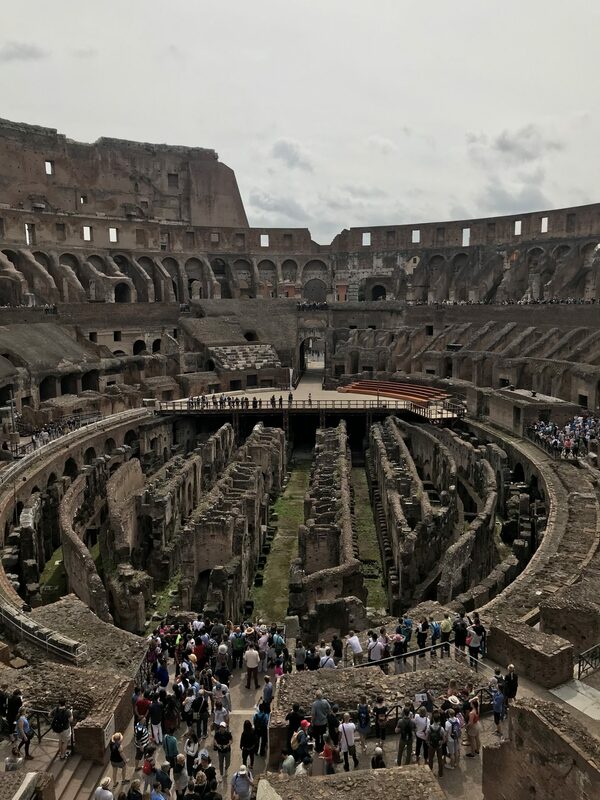 We opted for a tour of the Colosseum and Forum on one day and then the Vatican on another. Firstly I’d like to suggest picking an early morning slot if you can, to avoid walking round in the heat of the day, especially in high summer. The Colosseum Underground Tour, allowed us access to the bottom level of the arena, which is closed to the general admission tickets, oh and did I mention that the tickets allow you to skip the very long queue outside? The Forum was also amazing, it was incredible to stand in the ruins of what was once the heart of Rome. So save yourself the hassle when you get there and just pre-book it, you’ll probably save yourself some money too. 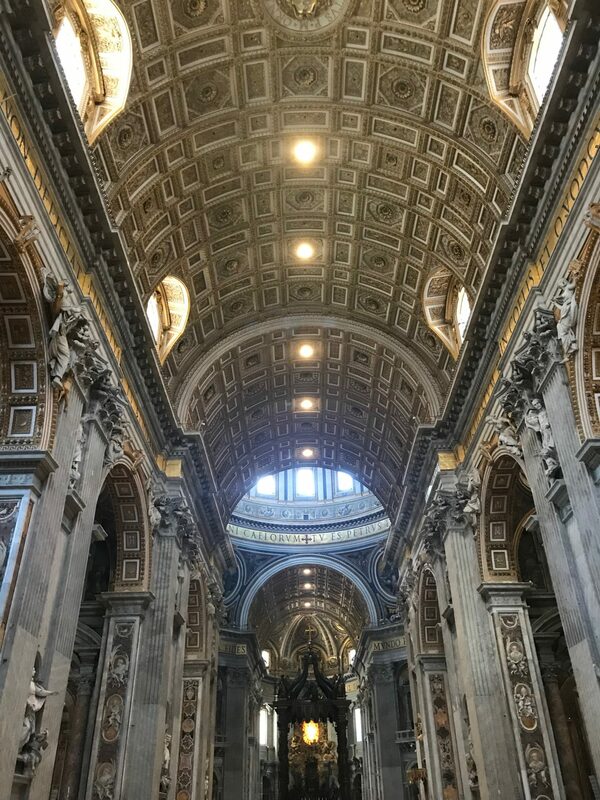 The tour of the Vatican, including the Sistene Chapel and St. Peter’s Basillica is also well worth the money. I can’t say I’m religious so had I not been guided through the artwork, I would not have had a clue what I was looking at. Luckily our guide made it really easy to follow and made sure to highlight the most important aspects of each venue. Make sure to abide by the dress code, covering your shoulders and knees, otherwise you won’t be allowed entry. Again it’s worth going early to skip security queues, which even guided tours must pass through, and also you’ll get too hot in long sleeves and trousers in the afternoon. Both of the tours we took lasted about 3 hours, so take that into consideration when booking, if you have time I would suggest doing them on different days, which means you still have plenty of time in the afternoon/evening to do other things. So that’s two of the main attractions ticked off, so what else did we do? 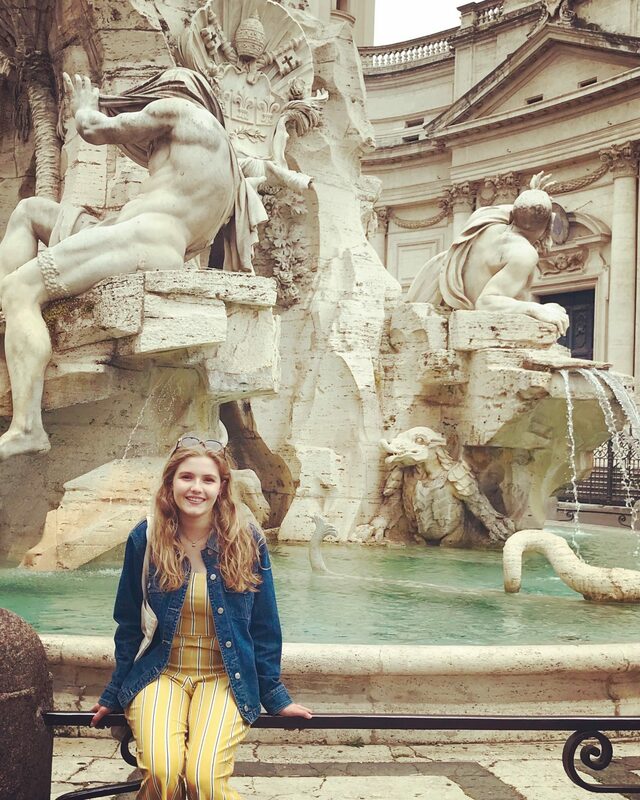 Well there’s plenty of famous treasures to see in Rome including the Trevi Fountain and The Pantheon. Now is a good time to mention our hotel, because it was in a prime location for both of these landmarks. The Hotel Cosmopolita was exactly where we needed it to be, the room was nice and clean and the staff were super helpful. 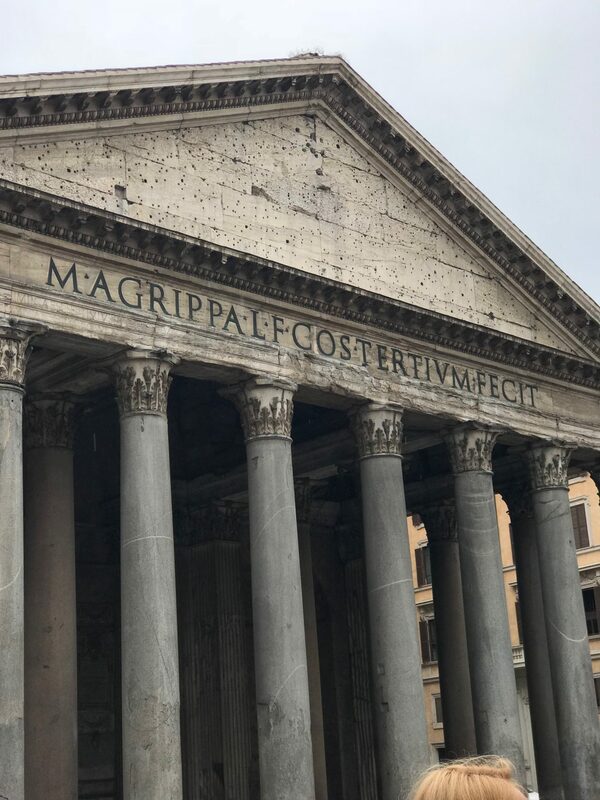 It was also just a 5 minute wander to the Trevi fountain, and within 20 minutes of the Pantheon and also the main shopping district. We had no need to use the metro or get a bus the whole time we were there because everything was so close. The only transport we had was a taxi to the Vatican as that’s a 45 minute walk over the river Tiber and to be honest we were feeling lazy. There is literally a gorgeous restaurant around very corner, where you can get authentic Italian cuisine for reasonable prices. Try and steer clear of busy piazzas and landmarks for food as that is where the prices are highest, instead potter along the side streets to find the really good stuff! 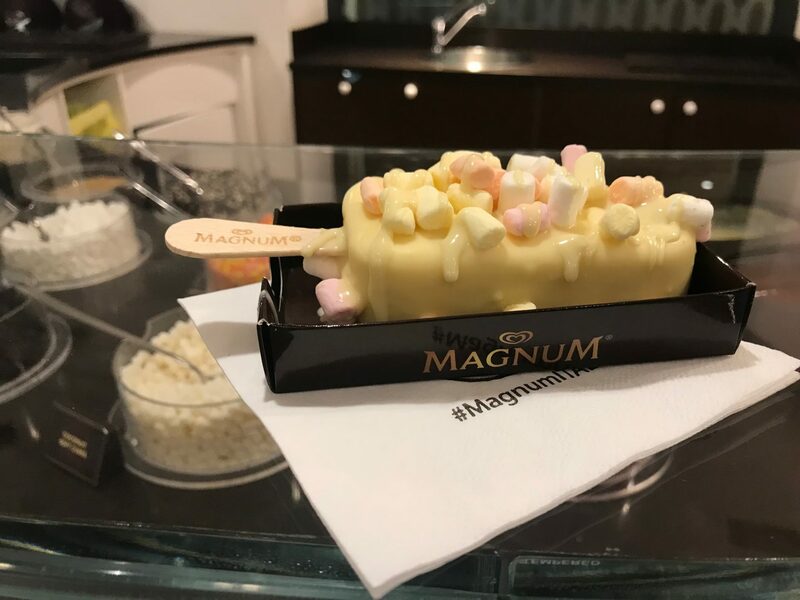 As well as old bars and cafes you will also find some more recent additions to Rome including the Magnum shop where you can design your own ice cream with different chocolates and toppings! If shopping is more your thing then like I said, there are plenty of shops to keep you occupied. Plenty of them were designer and well out of our budget but there were also many high street brands, especially ones we can’t get easily in the UK to have a look through when the weather wasn’t at it’s best. If I were you I’d leave a little bit of weight in your suitcase to be able to bring back anything you might find on your travels. 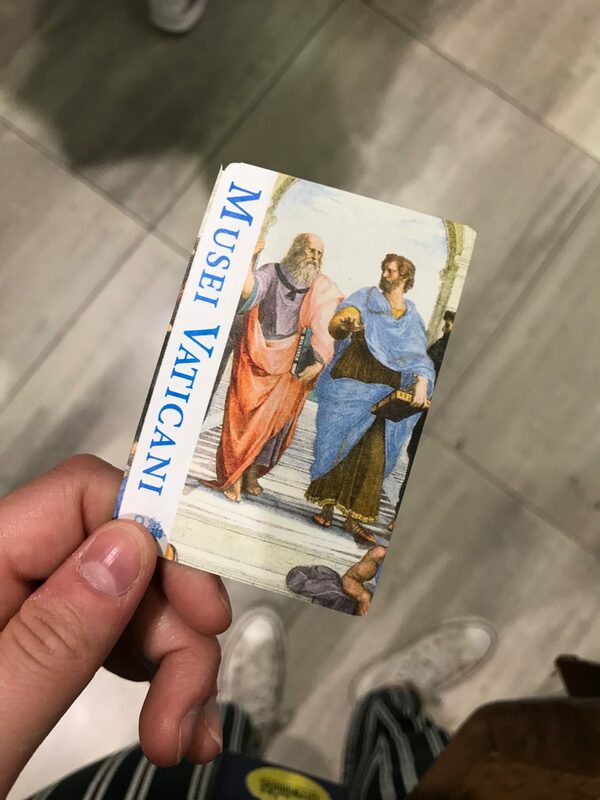 It’s well known that you have to watch your pockets when you go away to prevent being the victim of theft, but you really do need to bare that in mind in Rome but more in terms of being conned. Don’t stop and chat to people who are being seemingly nice to you only for them to force you into purchasing their goods. Never take anything off of a salesman in the street, whether it be a rose, a bracelet, or a photo- it is not a gift and they will try to charge you. It wasn’t a major problem for us but I just thought it was worth mentioning as something to just keep in mind, I suppose unfortunately it just comes alongside booming tourist areas. 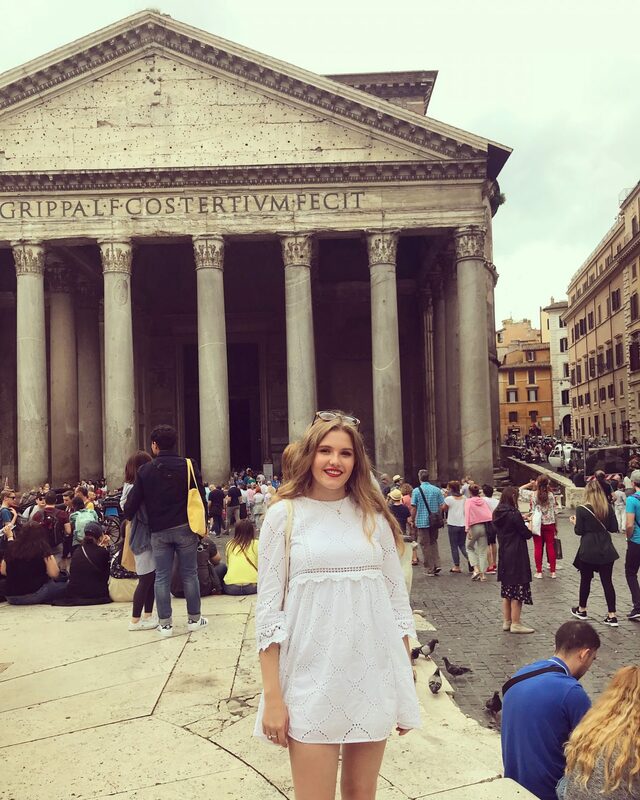 Overall I would say I’d love to come back to Rome one day. 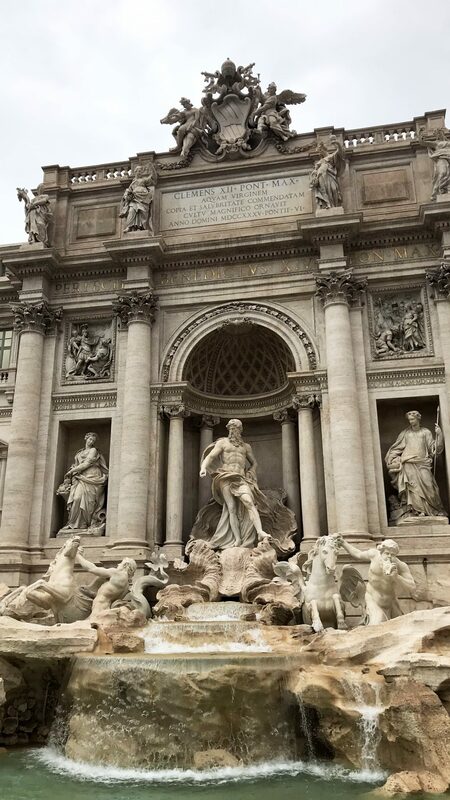 I don’t think I’d need to dive back to the main attractions because I’ve already seen them, but as I love ancient Roman history, it’s a place which will always interest me. I think next time I’d consider working it into a tour of Italy to tick some more places off my travel bucket list! It really is the most amazing place though, it’s romantic, its steeped in history and the food is world class. 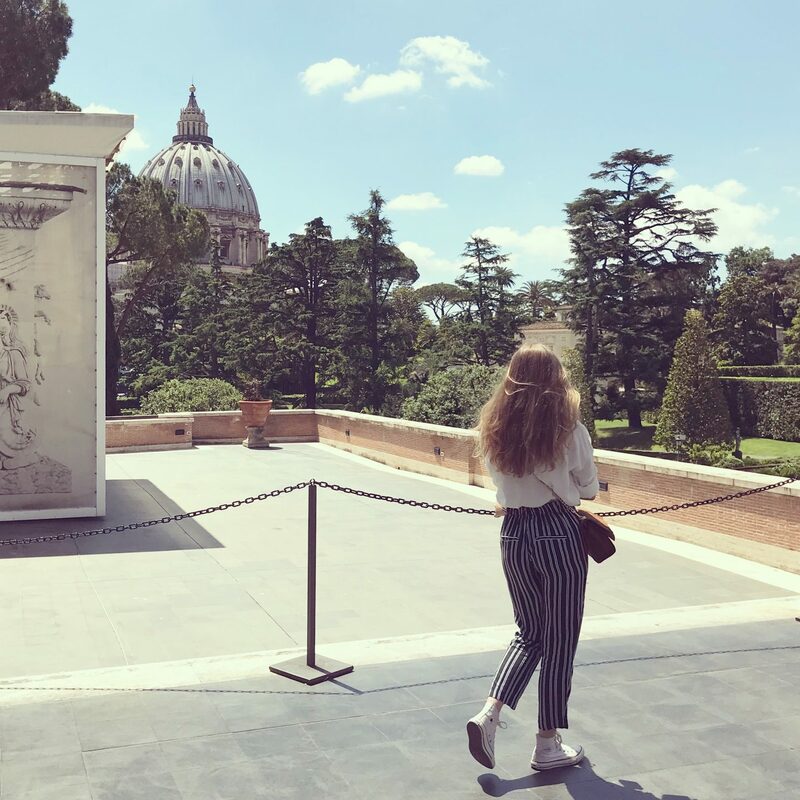 If you’re wondering where to go for a short break or are thinking of travelling to Rome as part of a larger trip, I would highly recommend it! Beautiful pictures! I love Rome 🙂 I visited it years ago already but would love to go back one day. Like you said, I would skip the main tourist attractions that I already have seen and perhaps catch the local vibe a bit more. My favourite Italian city. I remember that Magnum shop. Yum…. I loved it, it was an amazing trip!